Forget the hype surrounding energy drinks. Learn about the latest health craze that’s been around for centuries — with a new twist! Forget Monster, Red Bull, 5-hour Energy and all the other chemical-laden “performance-enhancing drinks.” If you’re looking for a natural boost, there is nothing better than the genuine benefits of green tea. It’s true! Studies show that the antioxidants found in green tea help to reduce or prevent cell damage, which allows for quicker recovery from a workout. On top of that, the catechins and caffeine combine to increase the rate in which calories are burned and oxidize fat cells. Now that’s one performance-enhancing drink! Throughout the ages, drinking green tea on a regular basis has helped people enjoy an increased state of well-being. Today, people who enjoy a healthy lifestyle and want to stay fit add green tea to their routine. And now, with the introduction of B-Zingerz by Yame Tea, adding green tea to a healthy regimen is easier than ever. The quick convenience of Gyokuro matcha powder, combined with sweet and healthy organic honey, is squeezed into 20 packets that are easy to carry, easy to eat or drink — and taste great! 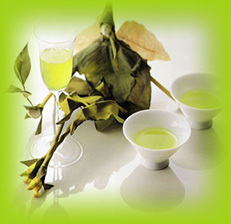 Gyokuro, which means “jewel tea,” is a type of Japanese green tea known for being of the highest quality. 20 days before the leaves are harvested, they are shaded from sunlight. This gives the leaves their deep emerald color and full-bodied flavor. Get fit and go green with B-Zingerz – a Yame Tea original! The new snack pack for an on-the-go energy boost. These packets containing matcha and honey are the perfect healthy treat. Just pop one open and you’re ready to mix it, spread it, or enjoy it on its own! Try it today for just $12.00. Dear Yame Tea Canada, I don’t have a lot to say other than your green tea actually works! I’ve probably tried more than twenty other green teas all claiming what yours claims. The gist of it is: theirs DOES NOT work. Your tea DOES what it claims to do and much more. I haven’t been sick with so much as a sniffle in 6 months and I am positive it’s because of Yame green tea. Hi, My name is Dolores and I’ve been using your green tea now for about 5 months. I cannot begin to tell you how my life has changed since discovering this tea through a good friend of mine. She told me how her hips no longer ache and how much more energy she had. She gave me a sample of it and I even liked the taste! Much better than any other green tea I’ve tried and I’ve been all over the globe! After that sample I decided to take the 21 day challenge. Well it didn’t even take two weeks before I noticed a huge rise in my energy levels and for all my joint pain to almost disappear. I know one thing, I will not stop drinking this tea daily as it has improved my quality of life big time! Rest assured, I have told everyone I know about your wonderful tea! Thank-you so much for bringing this tea to Canada! Immune-boosting. Nutrient-rich. Great-tasting! Order it, try it, love it!